Living with Fair Cotton means no child labour, fair salaries and care for mother earth. 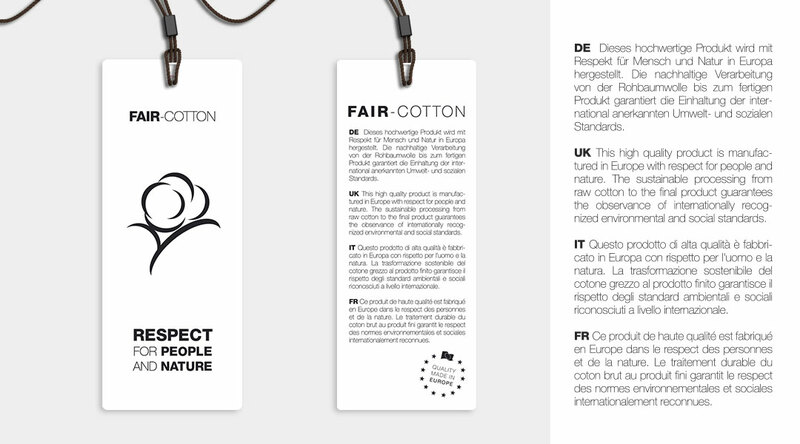 The FAIR-COTTON Label guarantees that the whole processing from cotton yarn to the final product has been transacted by all parties according to the international Social and Environmental Standards. Creating transparency in the world trade with a global fair trade system. over 25 years of experience in the world trade.